Several of the characters are determined to see the truth – no matter how painful it might turn out to be. The life and death quest of lawyer, George Deever, played by Michael Blake, to avenge the honour of his imprisoned father, drives the plot. Deever suspects his dad was set up to take a fall by his partner in a manufacturing plant, Joe Keller, played by Joseph Ziegler. Several of the characters, including Deever, are played by black Canadians in director Martha Henry’s conceptualization of the play. This gives Deever’s quest an extra punch and dimension. Blake’s portrayal evokes the passion and drive of Martin Luther King Jr. – a role he has played in ‘The Mountaintop’. Blake brings a force to the stage that inspires justice and decency. In his moral character, the audience is provided a glimpse of a better future for America. WWII veteran, Chris Keller, Joe’s son, played by Tim Campbell, also brings a hopeful innocence to the stage – a naïveté and belief in honest accountability, generosity and selfless sacrifice. Keller’s and Deever’s fathers were partners in an aeronautical plant that knowingly shipped defective engines to the army during WWII (based on a real plant and event in Ohio). Several pilots went to their deaths. When Deever arrives at Keller’s family home to uncover the truth about the incident at the plant, fireworks go off. Lucy Peacock, who plays Chris’s mother, Kate Keller, does the greatest amount of emotional juggling in the drama. Peacock skillfully manages to conceal what she knows to her son while seeking to keep her husband under control. Peacock and Ziegler did an amazing job of concealing truths under a veneer of respectability. This is a play with layers upon layers of tension and conflict. All the actors clearly conveyed the complicated nuances and secrets. This may well prove to be the best show in Stratford’s 2016 season. 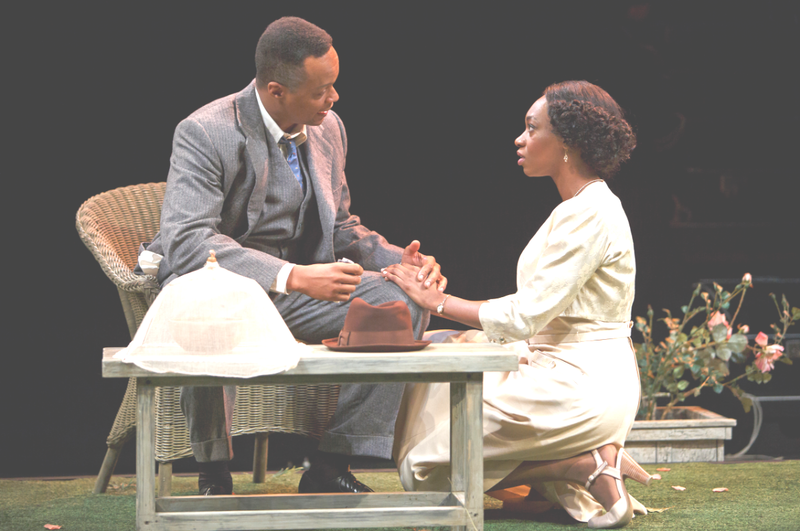 All My Sons is playing at the Tom Patterson Theatre until September 25th.